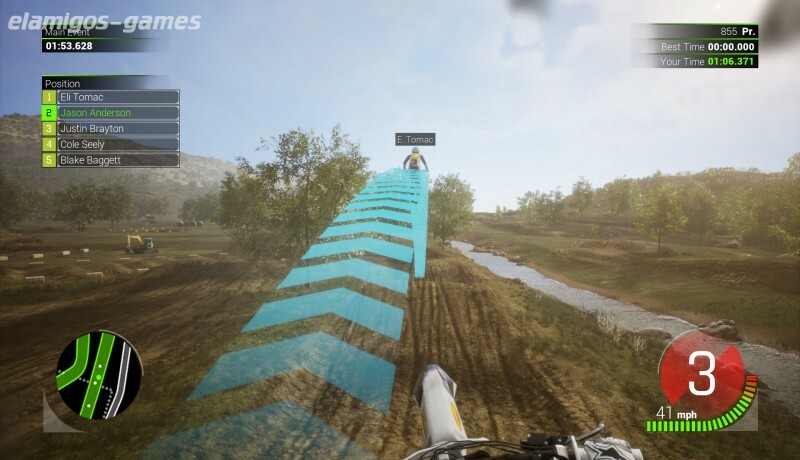 Download Monster Energy Supercross 2 is now easier with this page, where you have the official version of servers Elamigos like Uploaded, Share-Online, Googledrive and torrent, download it now and get the updated game until last version. All the excitement of the Monster Energy AMA Supercross Championship of 2018! Become a professional, put yourself to the test on site, face challenges, manage events and get sponsors to get fame and unlock new content. DLC list: The Camo Pack, Outfit Starting Pack. Installation time with 4 threads CPU and normal HDD - 4 minutes. Credits to Razor12911.